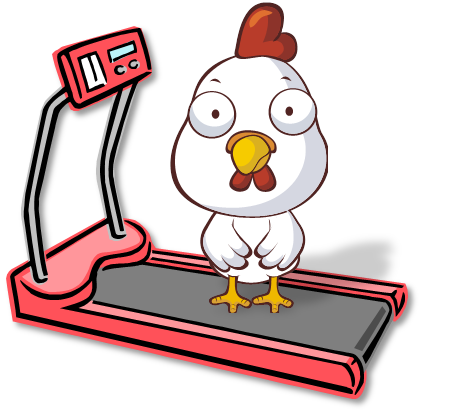 I was channeling Chicken Little yesterday as I made my way through my 4:00 AM run. All the hard training I've done up to this point seemed to be for naught and I struggled to get through 25 minutes of moderately paced treadmill running. Some of that was likely due to the very early hour and fatigue from my abrupt change in daily routine. Today's run was far longer, and much better than yesterday's, but it wasn't particularly fast. My new work engagement provides a lot of scheduling flexibility and today I was able to work from my home office. That let me fit in a medium length base run and cover my longest distance since last Friday's 9.7 miles. This spring weather is puzzling, but I won't complain because there's no snow on the roads and temperatures haven't yet reached oppressive levels. However, my decision to wear shorts and short sleeves made me feel chilly throughout much of today's run. I was concerned that I'd suddenly lost some endurance, but I could tell from the first few steps off my driveway that I would easily cover my targeted miles. That was good news. What isn't so good is that once I go beyond 85% of HR max, my stamina starts to slip. I can handle endurance or speed, but not both together. 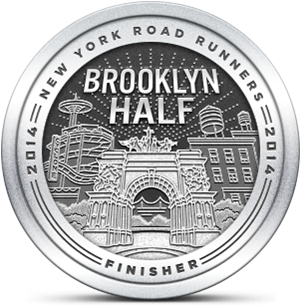 With only a couple of weeks until the Brooklyn half, I should be farther along in terms of performance. I don't expect to PR on the 17th, and I'm not even confident that I can break 2:10. I'm going to continue to focus on base because, while speed is desirable, endurance is what gets us over the finish line. Your theory is sound but I ended up running a 5K on Sunday that was four minutes slower than my PR. I agree that for a half marathon, building endurance will be more important than focusing more on speed. Funny. I felt overdressed wearing leggings and a long sleeve turtle neck. Happy medium should have been shorts and a long sleeve tech. Yes indeed. I was really cold running into the wind but by mile 4 I was glad to have only short sleeves and shorts.